Ah Paris, the city of culture, romance – and most importantly, home to some of the best food in the world. 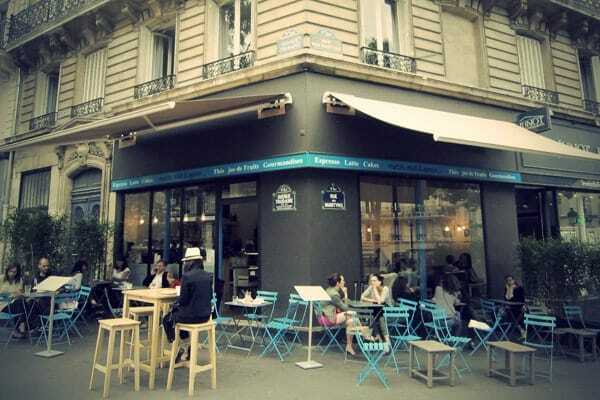 The cafés in Paris are famous for their baked goods (we all love a good croissant in the morning), their coffee, mellow music and outside seating areas down quaint cobbled streets. The only problem is… there are so many to decide between. So how do you know which café in Paris to choose? 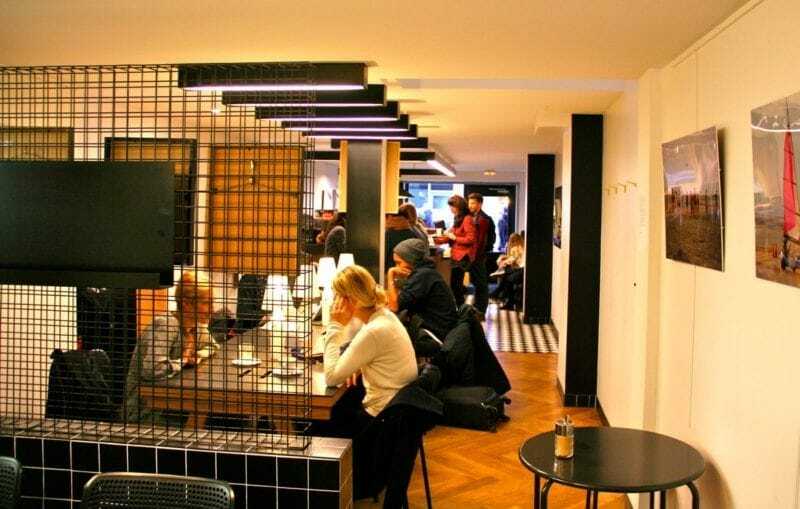 Well, here are the top five cafés in Paris. As the world changes, so, unfortunately, does Paris. Nowadays, the locals are more often getting their soy-hazelnut-mocha-frappuccino from Starbucks or other large coffee chains and losing their sense of authenticity. 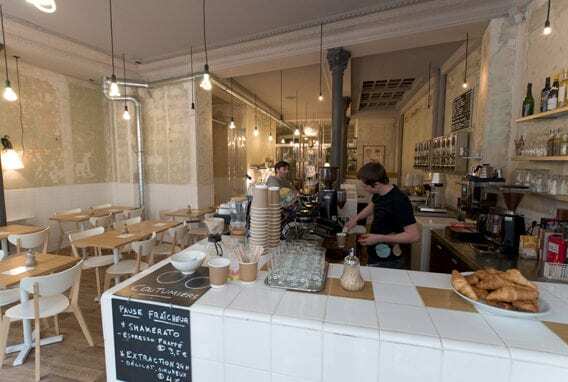 But the KB Caféshop in Montmartre aims to stall this movement, offering locals and tourists a taste of traditional Parisian cafés in the best way – through coffee. The café offers one of the largest arrays of coffee beans and coffee options that you won’t know which one to choose from. Sit down, read the paper, or people watch along the streets of Paris while you sip your traditional French coffee. 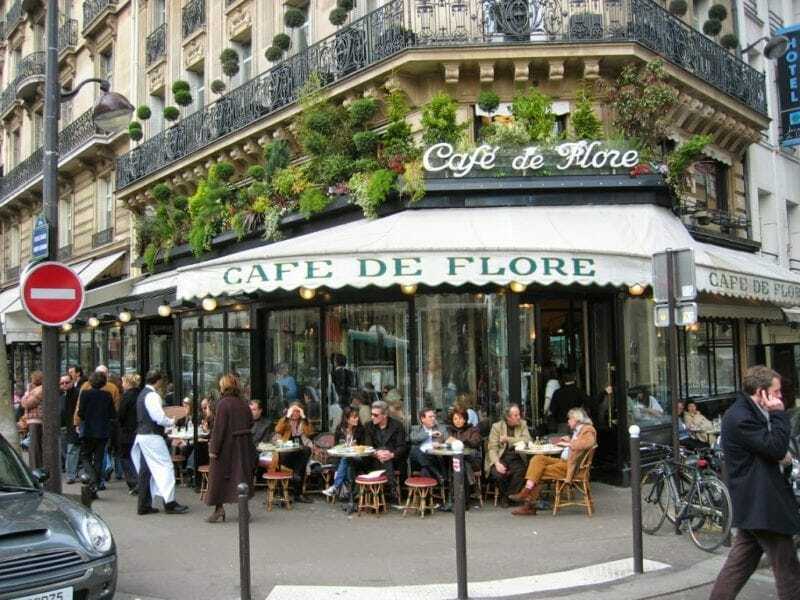 Once the playground of artists and writers such as Hemingway, Simone de Beauvoir, Pablo Picasso and Jean-Paul Sartre, Café de Flore embodies the Bohemian spirit and Parisian lifestyle. This café is one of the oldest and most popular coffee houses in Paris and is steeped in history. Covered in artwork and paintings, the Café de Flore offers its customers everything from traditional teas and coffees to croissants, desserts, and cakes. Coutume was the love-child of a French-Australian couple who wanted to bring Parisians some of the best coffee in the world. Whether you want to go for a spot of breakfast, brunch, lunch or dinner, this little café has everything – and even gives you the option to buy a ‘speciality’ coffee, where the server simply makes you whatever they want! They roast all of their beans in the café, and they pride themselves on their fresh produce. With its industrial-style and modern setting, it’s perfect for the modern man or woman. In a city full of artists, writers, and freelancers, finding somewhere to drink good coffee, have a bite to eat and tap away on your laptop is hard to come by. The café Craft has been designed for exactly those kind of people. With its modern setting, delicious smells and yummy eats, this ‘espace coworking’ has everything you could need from a café/office, and comes complete with wide tables, chargers and high-speed Wi-Fi for all of your working (and caffeine) needs. If you know your French, it’s pretty easy to guess the theme of this café. 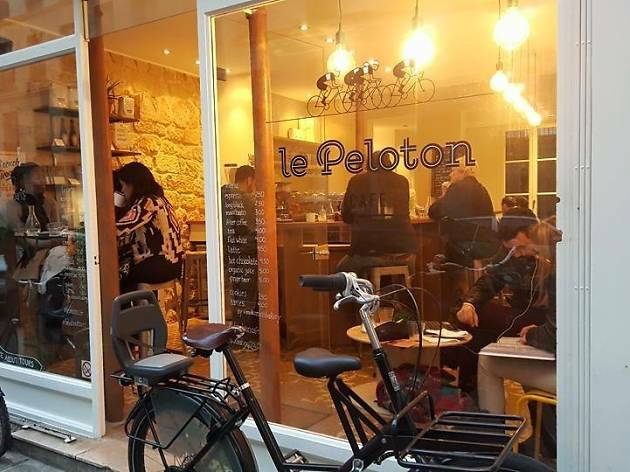 Le Peloton is one of the city’s first bicycle cafés that is decked out in bike artwork and actual bikes, as well as their iconic yellow chairs. It is perfect for a little sit down after a day of sightseeing. They serve some of the best flat white coffees in the city, and also one of the tastiest oat and raisin cookies in the whole of Paris.